Witham MP Priti Patel has visited Lime Tree Place in Witham, a new residential development by Equinox Living and Inspired Homes providing 98 one and two bedroom apartments. The site, off Collingwood Road, is where former NHS offices were located and is being converted by Essex-based contractors Phelan Construction. The new apartments are being marketed off-plan and will provide high-specification starter homes featuring hardwood floors, Italian Arta Cucine kitchens, quartz worktops, Bosch appliances and 1GB Hyperoptic broadband. The development will also benefit from landscaped communal gardens, which are expected to feature beach volleyball and outdoor table tennis tables. Apartments at Lime Tree Place start at £170,000 and are available for purchase with Help to Buy with the first residents moving in this summer. Call 020 8688 6552 to enquire about Lime Tree Place or for more information, visit www.limetreeplacewitham.co.uk. 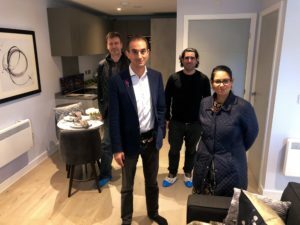 Inspired Homes, a specialist in micro-apartments, is a London-based multi-award-winning homebuilder focusing on high tech, high spec affordable private homes. Offering ample natural light, solid wood floors, big name kitchens and bathrooms, and superfast internet connectivity, Inspired’s innovative, design-led approach to layout makes the most of every inch of space, to offer apartments at prices with first-time buyers in mind. Inspired boasts a completed and pipeline GDV of over £500m, with developments in Croydon, Sutton, Epsom, Chertsey and Greater Manchester. Equinox Living are specialists in smarter starter homes. Having delivered over 300 homes, the companies provides first time buyers and investor with affordably priced apartments, expertly designed for modern living. A Joint Venture partnership with Inspired Homes on Lime Tree Place has allowed shared best practices and ideas to create a truly best-in-class development. 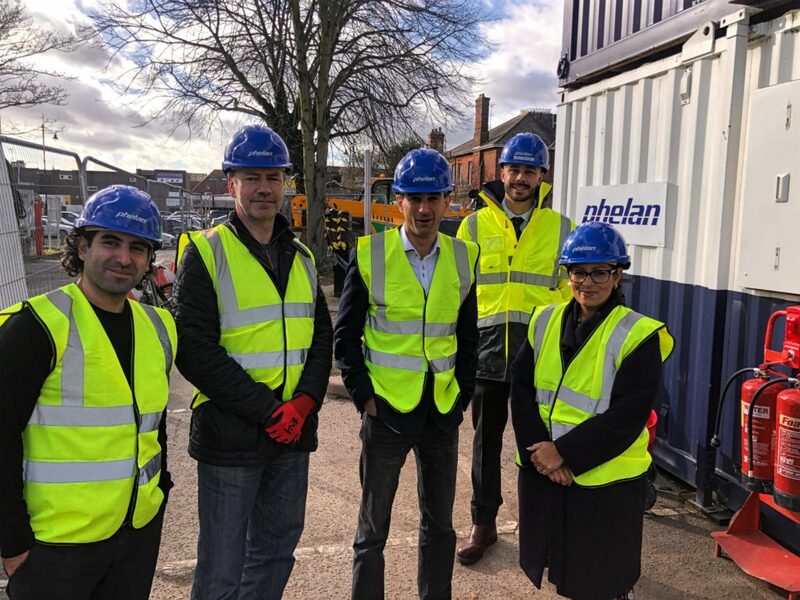 Phelan are an Essex based national building contractor with 30 years’ experience in delivering high-quality construction, refurbishment and fit-out projects across multiple sectors. Phelan was introduced to Equinox Living and Inspired Housing through their surveyor, Christopher Smith Associates with whom Phelan has worked on high-end hotel refurbishment projects. It was this experience in transforming buildings into luxury hotels, and their ability to do so at a fast pace without compromising quality, that attracted the client to Phelan. Help to Buy London is a Government backed scheme enabling buyers to purchase a new home with a 5% deposit and mortgage for only 55% of the purchase price. With prices starting at £282,950, buyers will be able to purchase an apartment with a £14,148 deposit and typical annual salary of around £38,000, or £20,000 each if purchasing as a couple.